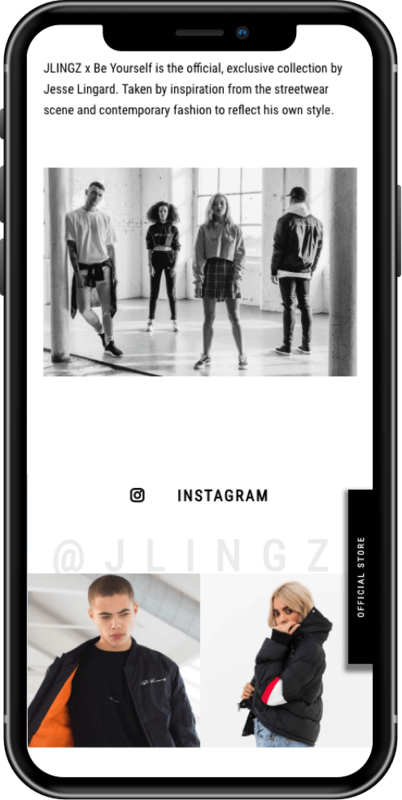 JLINGZ is the official and exclusive clothing label from Manchester United and England footballer Jesse Lingard. 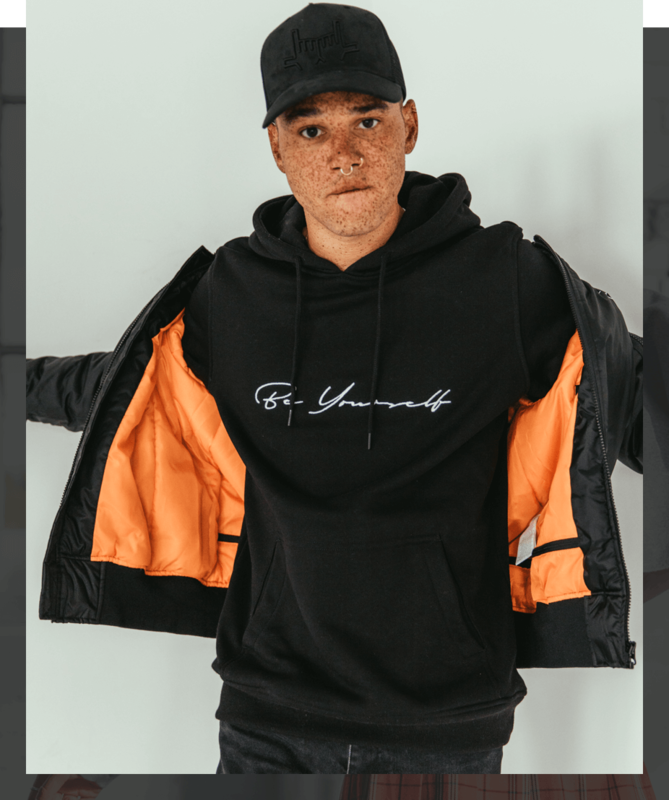 The JLINGZ clothing range takes its inspiration from the streetwear scene, with apparel designed by Jesse to reflect his own personal style. 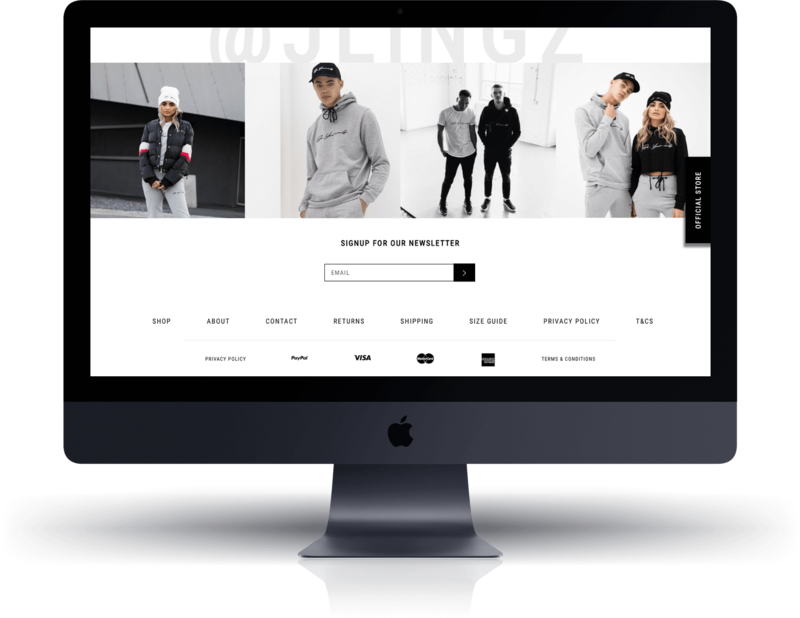 Eastside Co. were chosen by JLINGZ to revamp the clothing brand’s ecommerce store to make it clean, clear and easy for visitors to purchase. 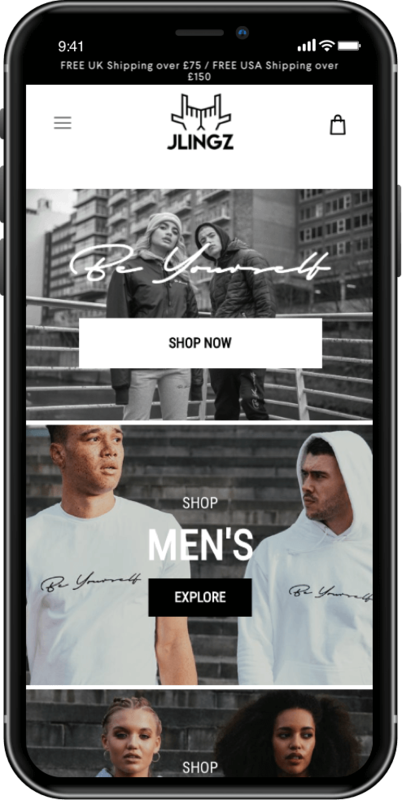 As Jesse has a huge social media following, his Instagram feed was incorporated into the homepage to allow visitors to follow his posts and keep up to date with him, as well as the brand. 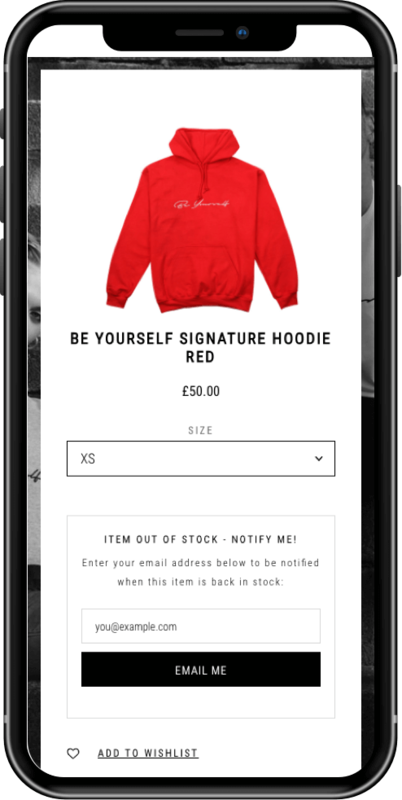 It’s a great opportunity to promote the brand to his followers via competitions, and adds a personal touch to the site. A clean and simple structure makes it easy to view and purchase products: clear photography and descriptions on product pages make it straightforward for customers to purchase. Even the mouse pointer was designed to represent the famous JLINGZ celebration gesture, showing attention to detail and keeping everything on brand!